Don’t let time and the weather destroy your roof, turn to the experts at New Ridge Roof Restoration to make your roof last. 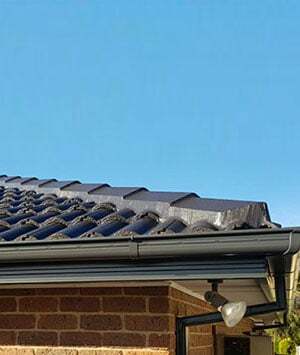 For almost 20 years we have worked closely with residents living throughout Melbourne to deliver personalised and comprehensive roof restoration and repairs that Keysborough homeowners can rely on. Committed to meeting all the needs and requirements of our customers our skilled and fully-qualified team of roofers offer a number of exceptional repair and restoration services designed to extend your roof’s life by decades. From replacing cracked tiles, to installing new and more efficient guttering, we can provide superior solutions at competitive prices. 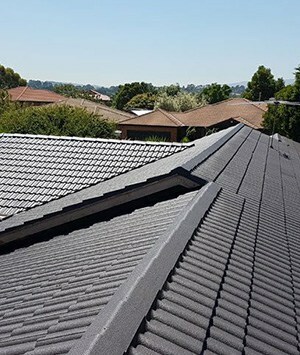 Help keep your tiles protected while making your roof look incredible thanks to the team at New Ridge Roof Restoration. 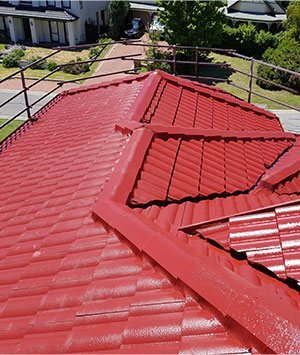 boasting a wide range of vibrant and colours we can complete detailed roof painting throughout Keysborough and elsewhere in Melbourne’s South East. Book our team to come to your property today by calling us on 0439 931 138.